A home inspection is a visual inspection of the structure and components of a home to find items that are not performing correctly or items that are unsafe. If a problem or a symptom of a problem is found, the home inspector will include a description of the problem in a written report and may recommend further evaluation. Home Buyers: Emotion often affects the buyer and makes it hard to imagine any problems with their new home. A buyer needs a home inspection to find out possible problems with the home before moving in. At the conclusion of the inspection, the inspector will review your report with you and address any concerns. The Inspection Report will give details on the general condition of the home from the roof to the crawlspace/basement. Then the inspector will review the report with you to make sure that you understand everything. You will receive an email with a user name and password to access your report 24/7 online. You may share your report with anyone you choose, including your Realtor. A home inspector’s report will review the condition of the home’s heating system, central air conditioning system (temperature permitting), interior plumbing and electrical systems; the roof, attic, and visible insulation; walls, ceilings, floors, windows and doors; the foundation, basement, and visible structure. Many inspectors will also offer additional services not included in a typical home inspection, such as radon and water testing. A home inspection is not an appraisal that determines the value of a home, nor will a home inspector tell you if you should buy this home or what to pay for this home. You generally have between seven and fourteen days after you sign the contract to get a home inspection. We would advise you to call us as soon as you sign a contract on the prospective home. This will ensure that you can get the inspection done at a time that’s most convenient for you. When you’re ready to schedule your inspection, just give us a call or schedule online. We have a fully staffed office and can schedule your inspection and answer any questions you may have. The price of the inspection varies based on the square footage, age and location of the property. Larger and older homes take longer to inspect, hence the fees for these homes are greater than those for a smaller home. However, don’t let the price of the inspection determine whether or not you get a home inspection or the selection of your home inspector. 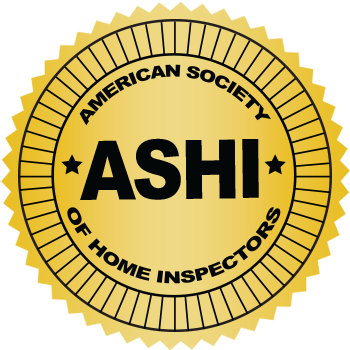 The knowledge gained from an inspection is well worth the cost, and the lowest priced inspector is not necessarily a bargain. The inspector’s qualifications, including his experience, training, and professional affiliations should be the most important consideration. Upon scheduling your home inspection, you will receive a confirmation by email with a link to make payment by credit or debit card. You may also pay at the conclusion of the inspection by check (made payable to Capitol Home Inspections), cash or any major credit card onsite. Payment must be made in order to receive the inspection report. Most Inspections take about two to four hours. These times may vary depending on the size, age and condition of the home.